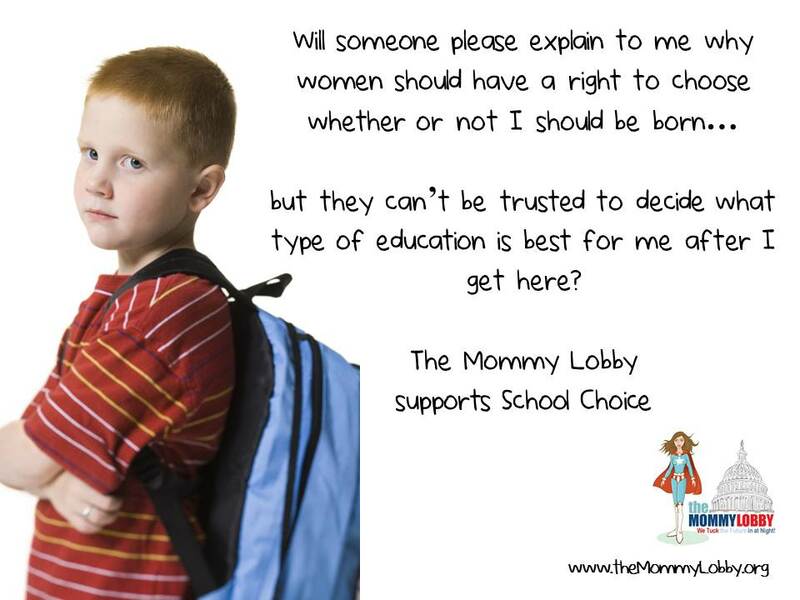 We here at the Mommy Lobby are firm believers in parents being able to decide what is best for their children and families as a whole. We believe that curriculum should be determined by local school districts and states NOT the Federal government. We believe that the our children should be taught HOW to learn and think NOT WHAT to think. We believe that our children should be taught the skills that will carry them into adulthood. Revisionist history, teaching to the test and agenda driven curriculum has no place in our education system. We are proud to work with and support a number of organizations who support School Choice, Home Schooling and who are against Common Core Curriculum, Race to the Top or No Child Left Behind.